TSK TSK! And double tsk tsk if you don’t have Google Analytics installed yet — go do that now, I’ll wait. 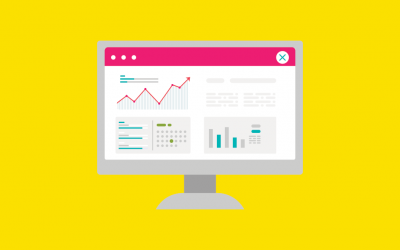 Every small business owner who depends on their website to work hard for them to attract clients should be using data to inform their marketing decisions. Anything else is just stabbing in the dark — using guesswork to guide their actions, causing a lot of needless random activity and effort. And there’s really no excuse not to use data — Google Analytics is a free tool that provides a wealth of information that can help you not only get insights into how people are using your website (so you can continuously optimize it for better results), but it can also show you which of your traffic-generating efforts are paying off and which are a waste of your time. Your website might be the weakest link in your marketing chain and you don’t even realize it. 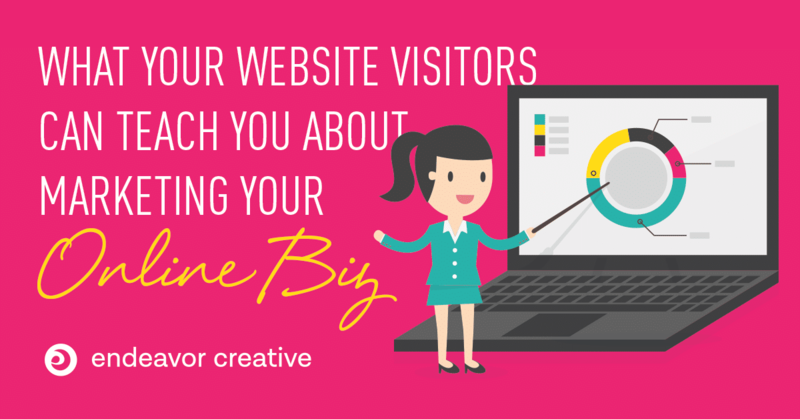 Are visitors bouncing off your site without spending any time on site or clicking through? Then I recommend you stop your traffic-generating efforts stat and focus on fixing the problems first. I can’t tell you how many times I’ve reviewed websites that look pretty, but they’re incredibly slow to load. What’s even more troubling are the site owners who just don’t care — “I like the way it looks, so it stays.” Without checking Google Analytics to see if their site visitors feel the same way, they’re flying blind: hope marketing. 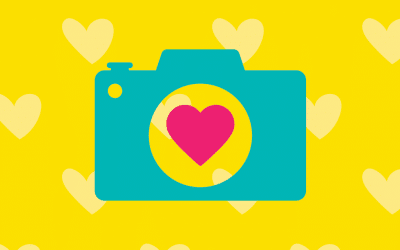 I can promise you their site visitors aren’t as in love with their pretty website as they are — they’re busy, they’ve got better things to do than wait 30 seconds for their hero slideshow to load. When there are technical issues, site visitors just aren’t going to waste their time: you’ve got seconds. Like, 3. Research shows that 40% of your audience (that’s almost half!) will abandon a site that takes longer than 3 seconds to load. How much more traffic will you have to generate to make up for that 40%? How much effort (or money) does it take to get people to your website? Earlier this year I redesigned a website that had a load time of 36+ seconds before we started the project. 100% of their site visitors left before it even loaded. I could tell you that their visitor engagement is up 4000% since the redesign, but that doesn’t mean anything because they started at the absolute rock bottom. ZERO. That cool, fancy website was doing exactly nothing for them. We fixed the technical problems and now their site loads in less than 3 seconds, and they’re enjoying massive traffic, engagement and dominating local search. It was less about how it looked (although that’s also important), first and foremost it was about improving the user experience and tearing down barriers. If you ever feel like you’re spinning your wheels, you probably are. 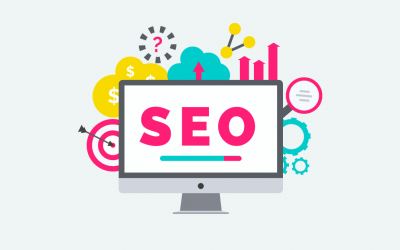 Knowing how your site visitors are behaving can tell you where to focus your marketing efforts online and how to make the best use of your time. Google Analytics can show you where your traffic is coming from (Acquisition > All Traffic > Source Medium). And even more than that — it can tell you how engaged users are depending on where they come from. I know things about my own site visitors like: if someone follows a link from Twitter or Pinterest, they’re more likely to click through to more pages and spend more time on my site than somebody who followed a link from StumbledUpon. I know the audience I’m building on Twitter is on-point and my content is relevant, and I know my Pinterest strategies are working too. I know I get very little traction from StumbleUpon, so I save myself some trouble there and stop spending time worrying about it. I get a bit of traffic from it, but it’s not valuable traffic. Amplification of my best results, not spinning more wheels. All of these things I learned about my own efforts may be ENTIRELY different for you. What works for one person doesn’t necessarily work for another. Maybe your site content is a perfect match for StumbleUpon, you may get insane results with it. The point is, data tells you if it’s working or not, not following advice blindly or doing what others are doing. One size does not fit all. As I say quite a lot around here, when you launch your website, it’s just an assumption. We make our best guesses for how users will respond to it, but what we THINK users will do on our sites is rarely what they actually do. You can check to see how people are behaving on your site. (In Analytics, I always check Behavior > Behavior Flow). When they land on your homepage, where do they go next? Where are they exiting your website? Are they making it to the content you REALLY want them to see? If not, you can re-think how you guide your user to take the action you want by re-evaluating those pages where visitors are dropping off. One final note — if updating your site is a frustration, a chore you’d rather avoid, check out Tools for an Empowered Website. If you’re struggling to get clients, I can help you uncover whether your website is a weak link in your chain. Let me help you get the answers with a website review. The first step is a FREE, no-obligation mini-review.